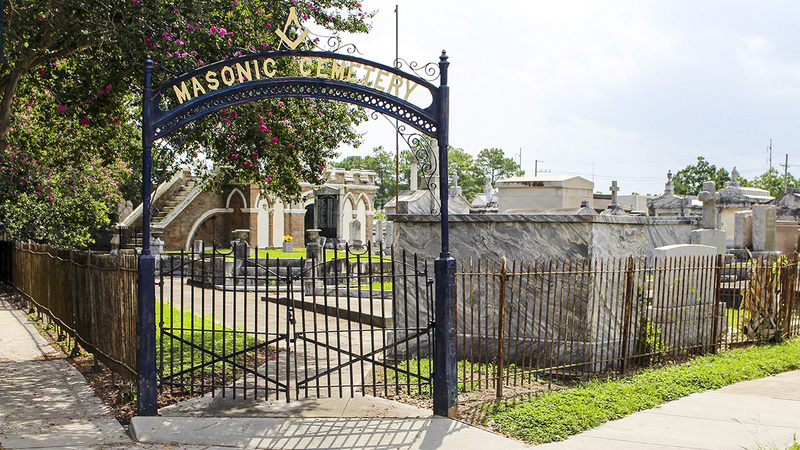 Founded in 1865 by the Grand Lodge of the State of Louisiana Free and Accepted Masons, the Masonic Cemetery expresses a character distinct from the Catholic cemeteries that dominate the city. 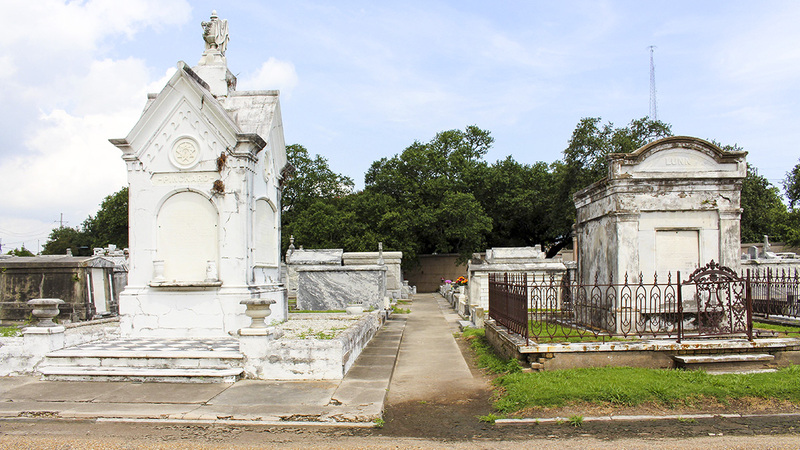 It is known for its many unusual, elaborate tombs, a reputation due in part to the cemetery’s communal nature: members of lodges pooled resources to purchase large group tombs. 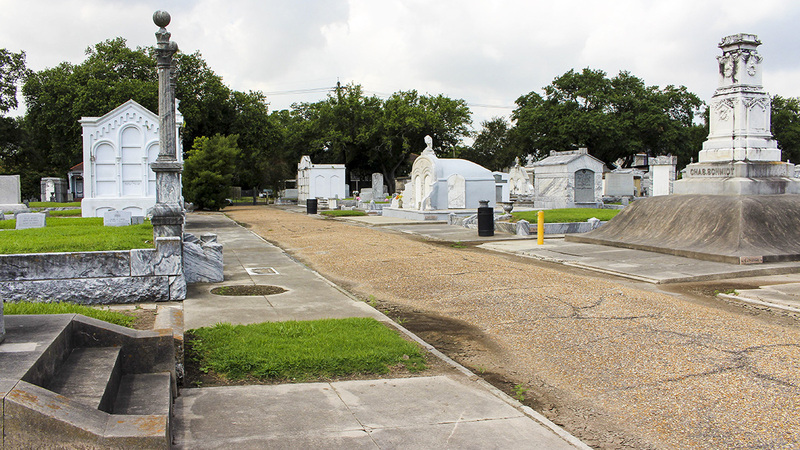 Occupying two oddly shaped city blocks, the cemetery is triangular in plan, with Conti Street bisecting it. 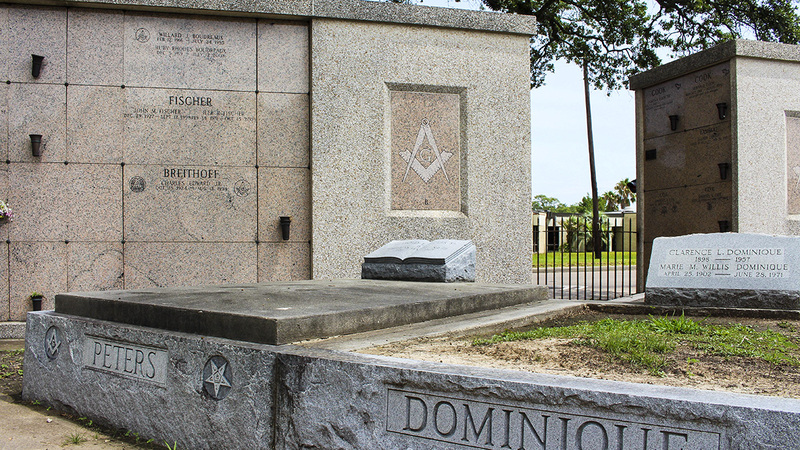 The triangular footprint of the bordering streets overlaid with the cemetery’s angular internal walkways mimics the Masonic emblem of the square and compass. 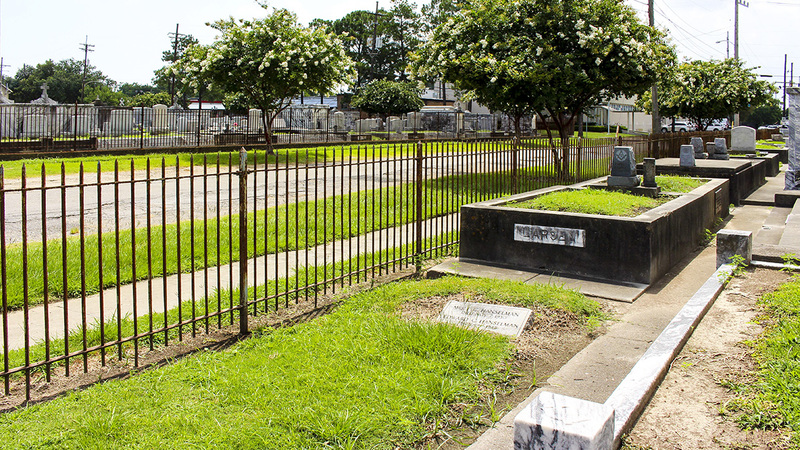 Cast-iron picket fences enclose its two distinct sections, while oak allées line its northern and western edges. 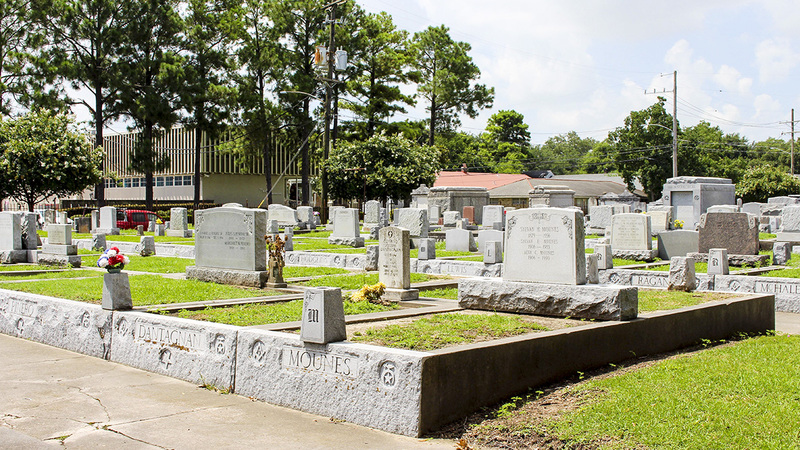 Plantings of crepe myrtle create a permeable border along the eastern edge, highlighting the cemetery’s context within a residential neighborhood. 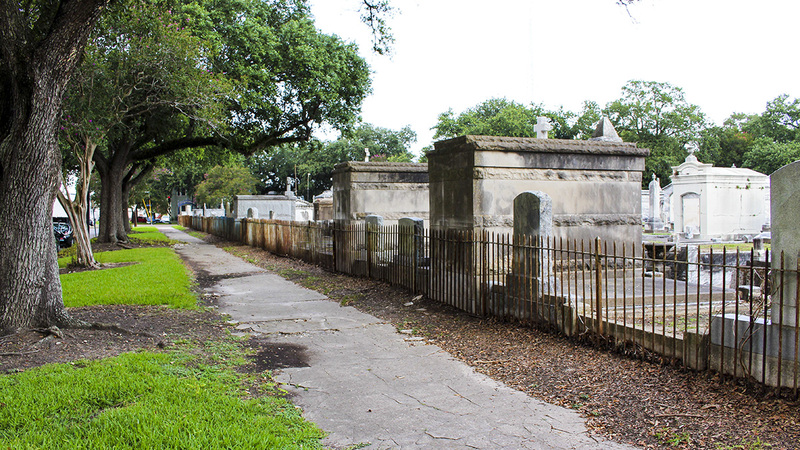 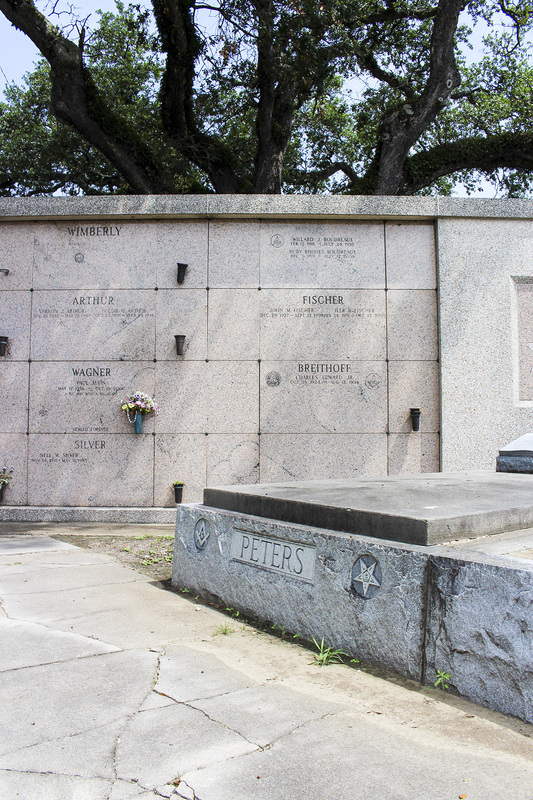 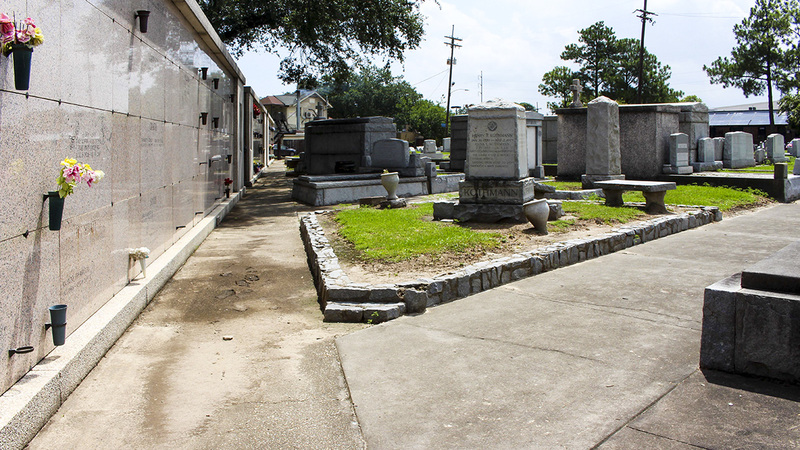 Tombs are compactly arranged in rows parallel to Bienville Street, with a wide, paved promenade cutting through the center to provide access to smaller walkways between rows. 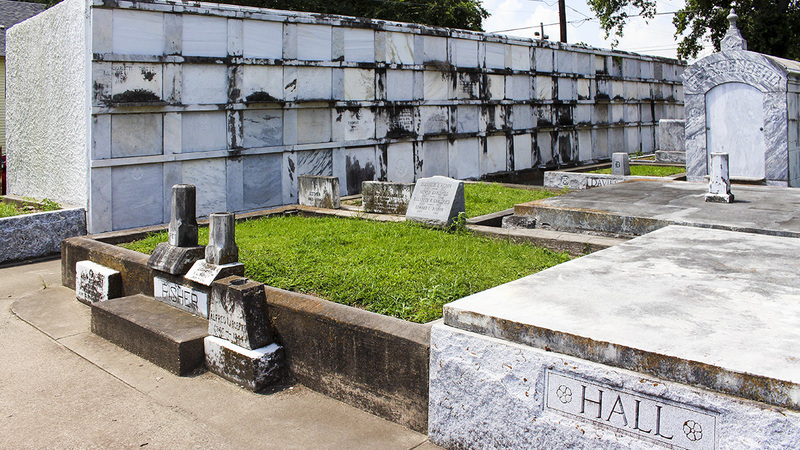 Much grander group tombs are interspersed among raised bed tombs, creating a patchwork of flat, grassy squares and tall marble structures. 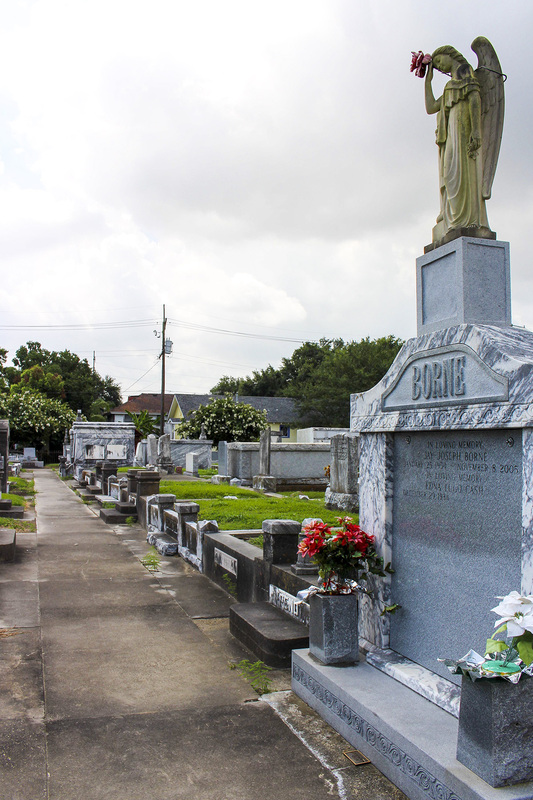 The absence of a tree canopy within the cemetery further emphasizes the grandeur of its memorial architecture.